IT Solution World delivers customized software development solutions and IT staff augmentation services for businesses or technology providers in need of C++ programming. As a seamless back-end software development partner, IT Solution World niche technology and industry experts come in as an extension of your company to optimize development life cycles. Contact the C++ programming experts at IT Solution World now to discuss your Software development needs. We provide our clients with flexibility to choose the quantity and expertise level of the team, to expand or shrink development team whenever the resources or the project specifics requires. IT Solution World development team has also worked with multiple embedded C++ development solutions to help clients integrate hardware with the software part. C++ is a relatively low level systems programming language. It is best suited for general-purpose software and applications that are platform dependent as well as operating systems and drivers, etc. It is fast and works well with GUI programming. Database access and storages: SQL Server, Oracle, MySQL, MS Access. Upgrade of the existing sytems coded in C, C++ or C#. Stand-alone or integrated quality assurance of C++ applications. Our C++ programming includes systems development for data backup, restore software, VM tools, email arching, data processing including: Kdevelop, Anjuta Devstudio, CodeBlock, GCC-based compilers, and more. Our developers utilize C++ programming to create robust, reliable, object-oriented software , and high performance applications. We program security devices and systems in C++ programming for CCTV surveillance. Body cameras, home security systems, gate access systems, and more. We integrate comprehensive Quality Assurance testing (QA) throughout the C++ programming process including unit, integration, functional, and system integration. We program utilities, tools, offline communication and multimedia applications and other robust software applications for Windows, MacOS, And Linux. Development of software for digital video steaming and processing, plus multimedia applications for video editing, media player and broadcast streamers, HD video playback capabilities, interactive gaming, and more. We program Software for hardware(firmware) for real-time interchange, device setup and configuration software, POS device integration, smart home automation, direct hardware, sensor sensor scanning and more. Application of any complexity can be developed in C++: from small plug-ins to cross-platform enterprise level solutions. C++ has relatively clear and mature standards. It doesn’t require runtime environment installation in order for the end consumer to use client’s software/application. 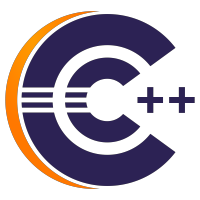 In addition, there’s no performance overhead at runtime, this C++ application are faster that those written in other language. IT Solution World developers are versed with C++. This allows us to offer the best solutions and ensure maximum contentment for our customers. IT Solution World render the best C++ Software development services at affordable pricing. Our solutions provide performance guarantee by following specified needs of the clients. IT Solution World enable our customers to take advantages of all C++ benefits. Our developers ensure fast data processing & compatibility with diverse OS by developing a Software.